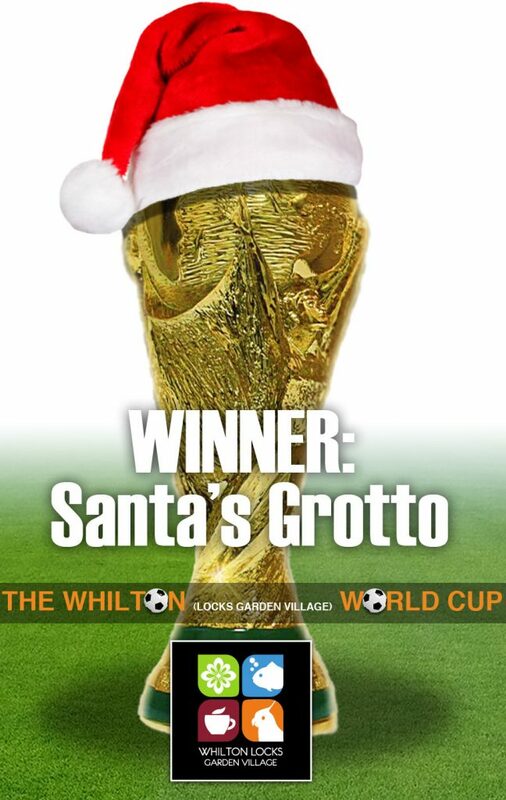 How else could you advertise Santa’s Grotto, an Ice Rink and a whole host of other subjects during one of the hottest summers for years AND during the World Cup? 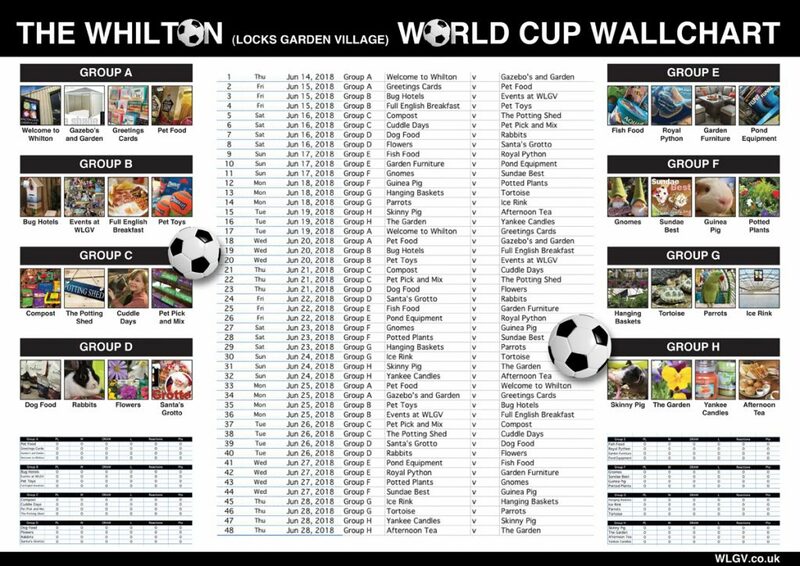 With the Whilton Locks Garden Village World Cup, that’s how. What is the WLGVWC we hear you chant? Well let’s explain. After a long qualifying campaign featuring everything at Whilton Locks Garden Village we were down to the very best 32 ‘teams’. 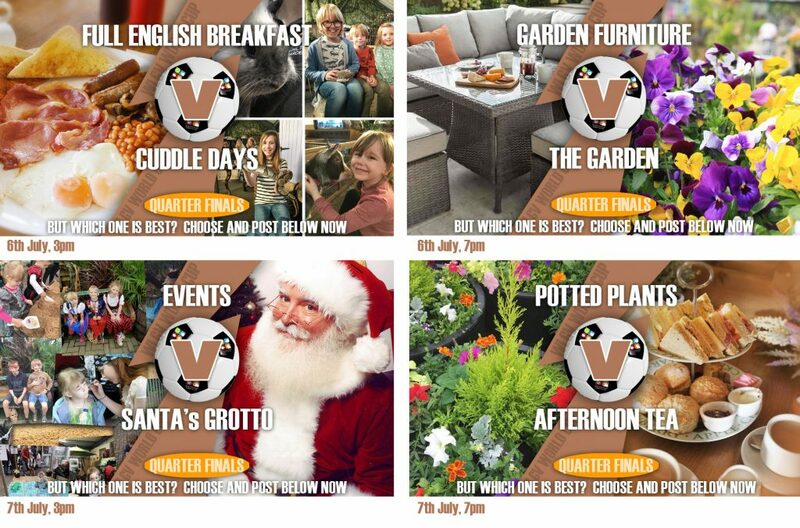 The concept, Nick Price Creatives devised, was simple – A ‘match’ between two teams was posted on Facebook – showing two items that the garden centre offered, along with a few words supporting each team and people could comment or like each one. The ‘team’ with the most reactions would win that match. Each match coincided with the World Cup kick-off times. The format followed the World Cup group stages (with a points system), knockout stages, quarter and semi finals, ending up with a final, from which a champion was crowned. Pre-tournament favourites included the Full English Breakfast, Sundae Best and Afternoon Tea – again this wasn’t based on football just the fact we like our food, don’t you? That said, there were some pretty tasty matches in the initial group stages – Compost and The Potting Shed could have got messy, Cuddle Days and Pet Pick and Mix sounded fun and Garden Furniture and Pond Equipment sounded very much like the contents of my shed! 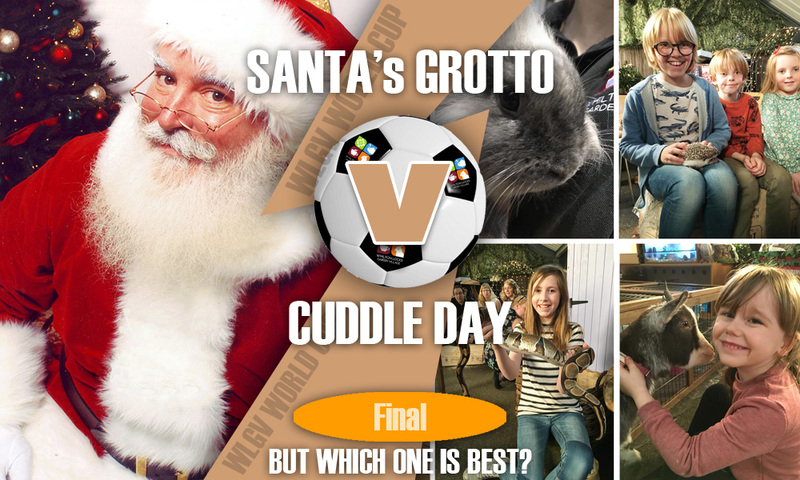 The cute and cuddly were always going to do well but this tournament had some pretty strong teams from the Whilton Locks Garden Village Ice Rink, Cuddle Days, amazing Events at Whilton Locks Garden Village and Garden Furniture all battling for the top spot. Who would win?